Brick walkways are fascinating – especially when the bricks are personalized in some way. Nice detailed photo and verse! Thanks! 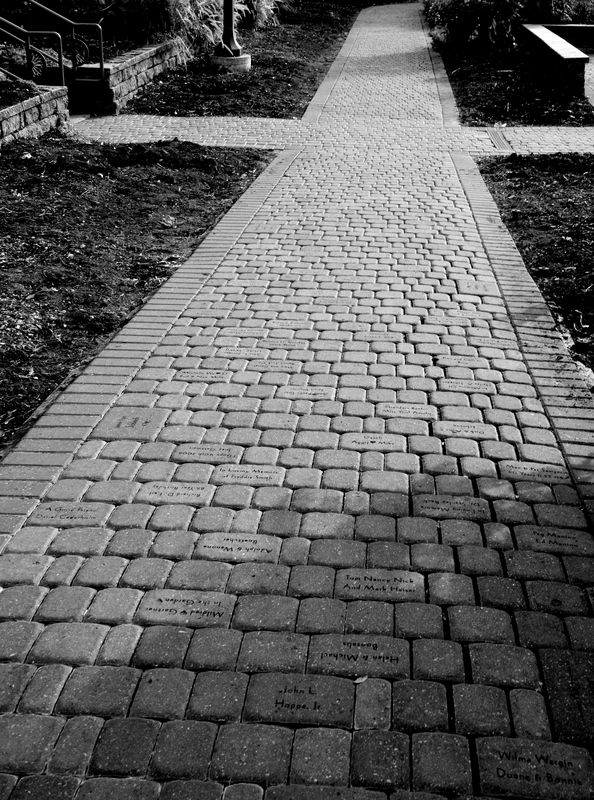 The bricks are inscribed with the names of donors to the Sunken Gardens. The kind of photo/poem I like so much. Thanks, Phil. Hope all is well in your neck of the woods. We got a bit of snow today! Glad you enjoyed it, Leigha!